Is Sophomore Year Too Early To Start A College Search? Is Sophomore year too early to start a college search? There are varying opinions on this. I could argue either way with respect to actually starting the search for potential colleges in earnest. However, there are definitely Sophomore year college preparation activities that should be taken care of. Signing up for Junior-Year classes – When it is time to register for Junior-Year classes in Spring of Sophomore year, make sure your student has some idea of required classes for colleges. This should be based on the most selective colleges your student may want to attend. Of course it will be tough to know at this point. If your student has always set his or her sights on an ivy league or other very competitive school, those are the admission standards that should be considered when registering for high school classes. Planning for summer activities – Study programs, a summer job or volunteer work are all great Activity Resume options. Many colleges have summer programs to explore specific majors or just enrich your high school experience. These can help your student get exposure to a college campus and also explore a potential major. A summer job or major volunteer assignment or project will show focus and responsibility. First college visits – Spring of Sophomore year is not too early to start visiting colleges if you use these early visits to narrow down what your student likes/doesn’t like. Start visiting different campus sizes and campus locations (rural, suburban, urban). You can stay as close to home as possible and just get these basic options somewhat narrowed down so that it is easier to focus your student’s college search when it comes time to make a list of actual potential colleges. Determine when to take the first ACT/SAT test – Some students will be ready for this by Spring of Sophomore year. It isn’t a bad idea to do a first benchmark test for your student to see where he or she stands. Most students will be able to improve their scores Junior year, but knowing where you stand on an actual test can be more helpful than using a practice test. 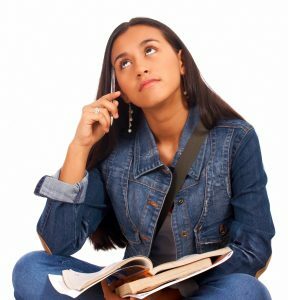 Ultimately, whether or not to start a college search Sophomore year is an individual decision based on your student’s level of maturity and interest in the college search process. Many students will not be ready to think about college yet at this point. Others will be anxious to start. Whether you choose to start looking at schools Sophomore year, or wait until summer or even Fall of Junior year, make sure your student considers Sophomore year college preparation activities to set himself or herself up for the future college admissions process.